Do you develop using SAP Web IDE? Get ready for TechEd 2018! 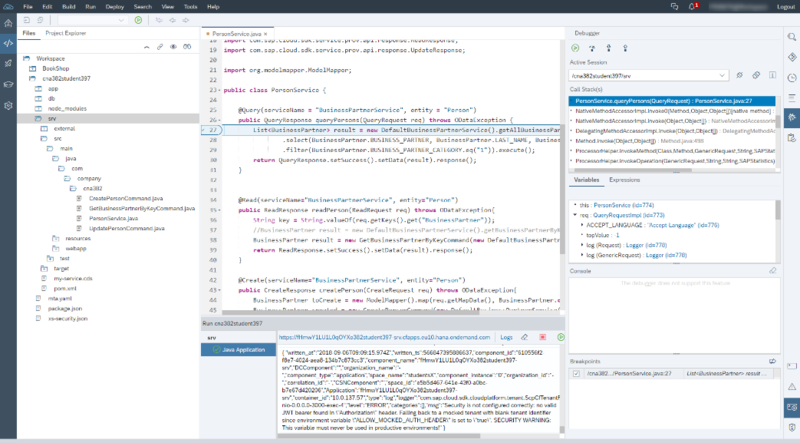 SAP Web IDE Full-Stack was announced as the official cloud end-to-end development environment for full-stack business applications development on May. Customer migration is in progress with more than 50% of our customers already migrated to SAP Web IDE Full-Stack. End of maintenance for the previous version of SAP Web IDE is set to year’s end, so if you are still working with it, this is the time to move! Do you have questions on the migration process? It’s very simple. Read all about it here. On June, SAP announced the availability of the new Application Programming Model for SAP Cloud Platform. The application programming model introduces a new development paradigm for business applications that speeds up the development process and significantly reduces time to market. SAP Web IDE offers tailored code and graphic tools, as well as easy integrations to support the application programming model. Java development had several accomplishments such as the introduction of new Java templates, code completion, validations, beautification, debugging, and hot deployment capabilities. Check out this blog series for more details. 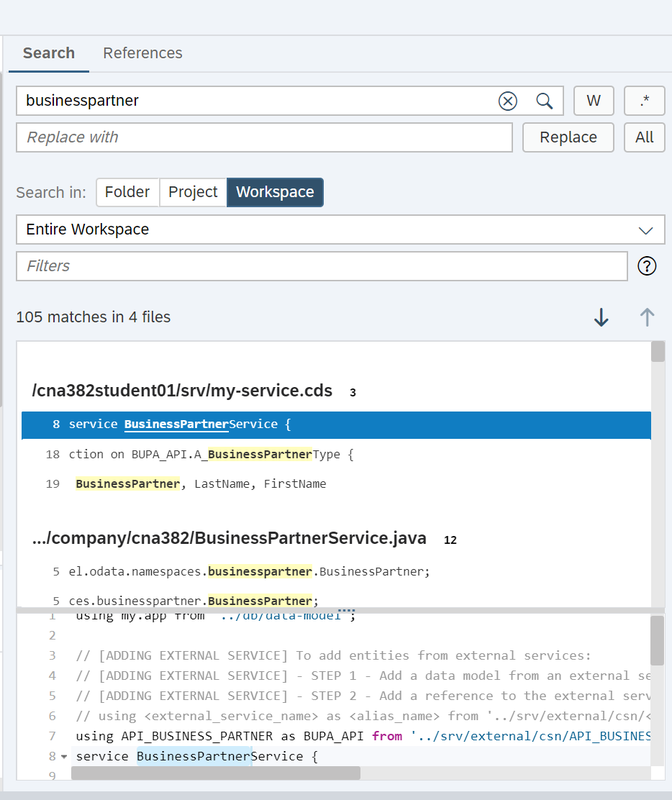 In addition, if you prefer to write your services with Node.js and not with Java, then you’ll be happy to hear that SAP Web IDE Full-Stack supports Node.js modules. Support of Grunt build for SAP Fiori projects – Grunt is an open-source task runner that allows you to automate tasks. With Grunt you have more flexibility building your applications. Storyboard – a visual representation of the application’s UI including its pages (views), navigations, and the services and entities that it uses. 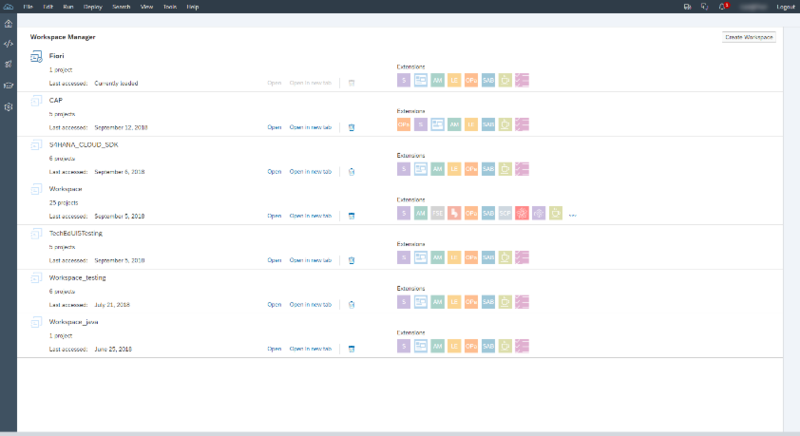 Reuse libraries – create, build, deploy, and reuse SAP Fiori/UI5 libraries/controls. SAPUI5 Support Assistant– You can now create a run configuration to include the Support Assistant tool, which checks whether your application is built according to the best practices for building SAPUI5 apps. Sync Metadata – if your metadata was updated in the back end, you can sync it to get the latest updates. Workspace manager and support for multi workspaces – create and manage an unlimited number of workspaces, for easy and intuitive organization of your projects. 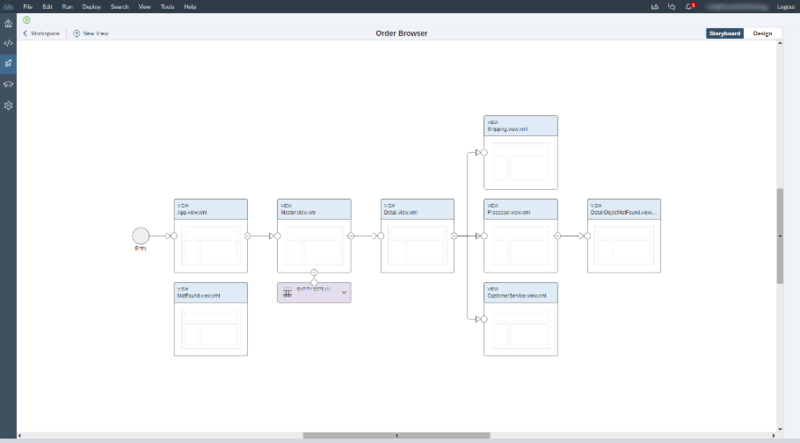 Project Explorer – view the logical structure of your applications. New Search options and UI improvements – the search pane was redesigned and supports advanced options like the use of regular expressions. Resource Manager – you can view information about all the resources (services) required by the modules in a multi-target application project, as well as delete the bound service instances. UI facelift – we made some UI changes throughout the entire product, like the changes made in the context menus for a better and more intuitive experience. Performance – last but not least, we decreased SAP Web IDE’s loading time and build time and improved its responsiveness. These are only some of the new capabilities of SAP Web IDE Full-Stack. For the full list, please see the SAP Web IDE release notes. And one last tip, before building your agenda for TechEd, don’t miss out my blog on the SAP Web IDE’s sessions you can expect this year. Ok. You’re ready to go!